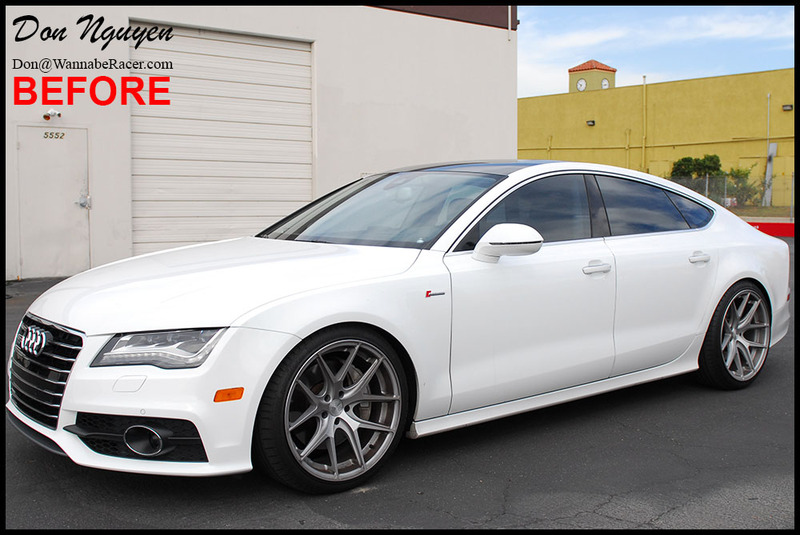 The owner of this white Audi A7 sedan brought his car in to black out the chrome window trim pieces that were on the car. We went with the gloss black finish to give it a factory look, which I think turned out fairly nice. 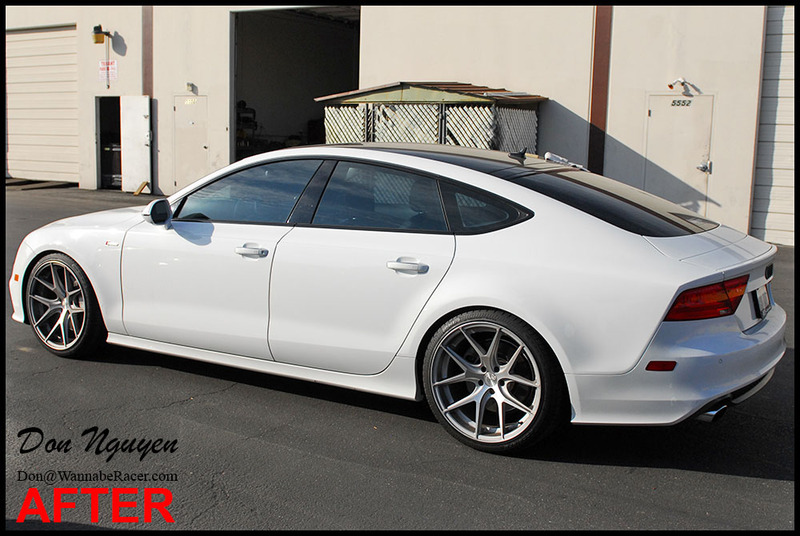 The gloss black went well with the already lightly tinted windows and also the gloss black roof wrap as well. The owner of this car was from around Orange County as well and came out to me in Anaheim Hills to have the vinyl work done.